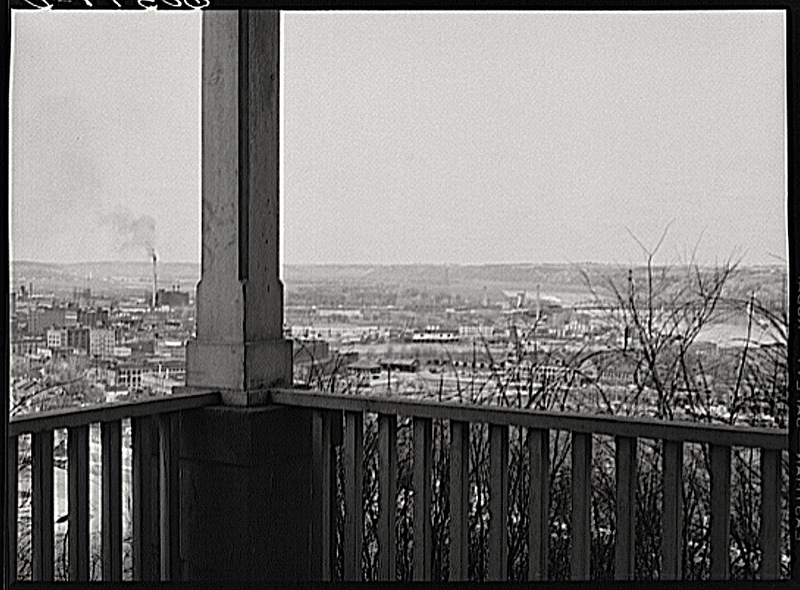 View from front porch of house on the bluff, Dubuque, Iowa, April 1940, by John Vachon, via Library of Congress Prints and Photographs Division. Dubuque is located along the Mississippi River, at the junction of Iowa, Illinois, and Wisconsin. It is Iowa’s oldest city and one of the few with hills.